Mafair UMC: VBS is Saturday! Get ready! Our first-ever VBS Campout is upon us. 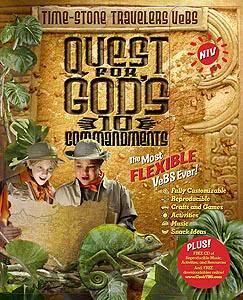 It's a Quest for God's 10 Commandments. On Saturday, June 15, arrive early at 9am and register. Vacation Bible School will start promptly at 9:30am. You DO NOT have to spend the night. Liz says ALL AGES are welcome to stop by ANYTIME during the day. If you want, pitch a tent and spend the night! Professional security provided. See schedule below. 9-11pm Movie: "Wreck It, Ralph"